» What Is The Best Hypoallergenic Cat Food For My Cat? Hypoallergenic cat food has few or minimal artificial ingredients. It is formulated for cats that have allergies or are intolerant to certain ingredients. 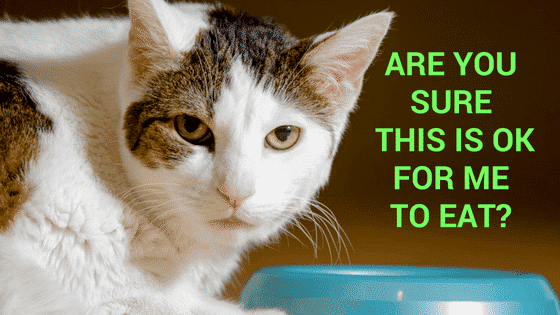 Do you really know what your cat should not eat? What ingredients in cat food can cause adverse reactions? Just as with humans there are different ingredients that can cause adverse reactions in cats. In addition to the foods mentioned above, that your cat may have an intolerance to or an allergy to, there are certain foods in general, that cats should not eat. This is a detailed list of foods that cats should not eat. Click here or the image below to see the list! How Do I Know If My Cat has an Intolerance? Cats display symptoms that can be a warning that something is not right. Excessive scratching, indicating itchy skin. If scratching occurs at the base of the tail it may indicate that fleas present. Excessive scratching can lead to hair loss. At this point, it is wise to take your cat to the vet for further examination. What else do I need to know about Hypoallergenic food for cats? Hypoallergenic food for cats, like regular cat food, is available in pouches or cans. It depends on your personal preference as a purchase however there is a slight difference between the two. Pouches will tend to have more gravy than cans. This is actually important for cats as they do not always drink much water or can be fussy about water sources. In the wild, a part of the cat’s moisture needs would be met by eating prey, so having extra gravy in a pouch is good thing. Some people say that they would rather just add some water to the food to provide the extra moisture. That is certainly an option however also consider that the gravy in the product is also part of the specially formulated product so the gravy will have a nutritional benefit. Whatever you decide in this regard. it is important to make sure that your cat does​​​​​ have an adequate drinking supply. 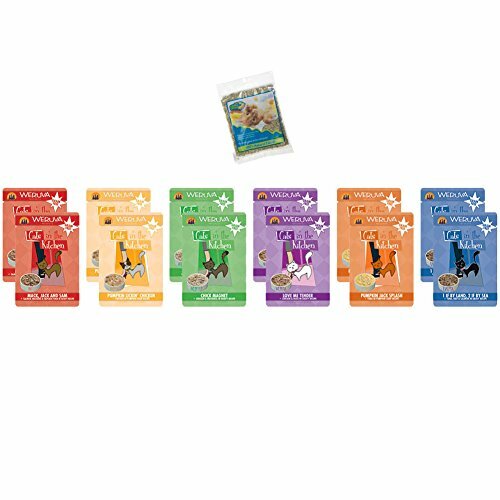 Each pack contains 24, 3 oz pouches of grain free cat food made with no artificial colors, preservatives or artificial flavors. There are fourteen different varieties available including chicken, duck, turkey and beef plus different varieties of seafood. Which variety will suit your cat will probably depend on what your cat already likes to eat. It is worth experimenting as we discovered. Our senior cat had definitely turned his nose up at certain cat food and we didn’t ever really know if it was the texture or the flavor that he disliked. An accidental purchase saw us with the aforementioned unloved food, which was a pate style and he now eats it which meant the purchase was not wasted. To be fair to kitty, I guess humans are like that too. This food is however not a pate style but more like small chunks of meat with gravy. You may still want to mix it together as cats can tend to just lick the gravy. There are no grains (wheat, rice corn) as stated and no soy products. The liquid is a rich gravy which would be suitable for dissolving medication, although you would need to crush a tablet so that it dissolves. Food in pouches does tend to have more moisture that food in cans as a general rule of thumb. On the front of the packaging you might notice that some pouches say Indoor and some say Outdoor. The difference between the two is that the indoor has slightly less fat. An indoor cat is probably but not necessarily less active than an outdoor cat and so needs fewer calories. 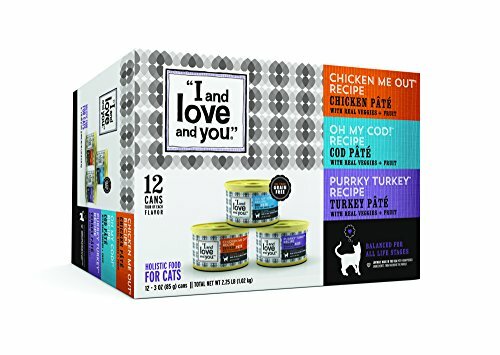 One thing to note is that the 24 pouches are all the same flavor, so if you like to mix it up for your kitty it will be necessary to buy several 24 packs. It is handy knowing that cat food is taken care of for a few months. We intersperse our cats commercial food with fresh meat. It does satisfy the requirements of moisture and protein which are really a cat’s main eating requirements. 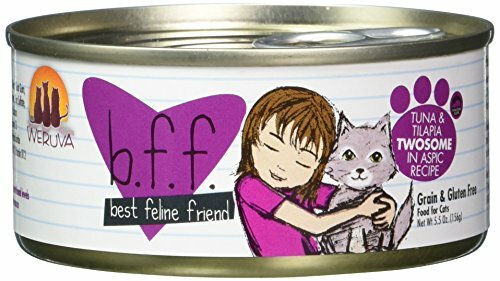 Even if we do give our kitties some dry food we need to remember that they are obligate carnivores which means that they must eat meat to survive. They can eat other things but they do need to eat meat to meet their nutritional needs. This food is gluten free, grain free and carrageenan free. What is carrageenan? In food, carrageenan is used as a binder or thickening agent. Beef is grass fed, chickens are cage free and tuna is wild caught. Interesting fact : This is a family company and the name Weruva comes from the families three cats, Webster, Rudi and Vanessa. The food is msg and gmo free. The pouch is also BPA free. The pouches have a shelf life of approximately two years however as they are cooked with no preservatives they must be consumed within a couple of days of opening. There are 12 pouches in the pack. 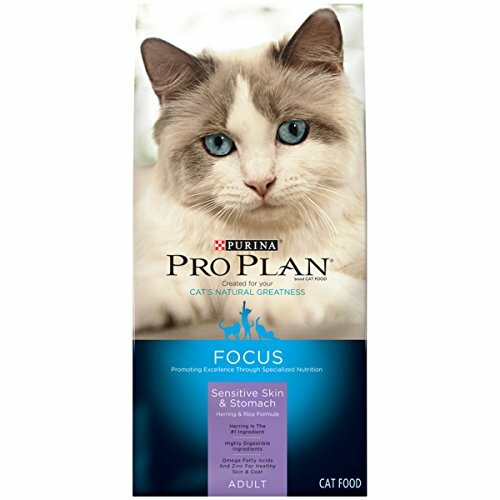 This company and product specifically caters to the needs of hypoallergenic cats and for those who are looking for an all natural complete and balanced diet. This product also comes in cans of different sizes, 3 ounce, 5.5 ounce and 10 ounces. In addition there are different size cartons as indicated below. Something to consider – This is a food topper (no not a mattress topper). Read on to see what a great idea this is and …inadvertently we have been doing this at home. More about that below. This is a food topper. It is specifically designed to add to the food your cat is eating, not as a complete meal in itself. Why would you use a food topper? That sounds a bit silly. 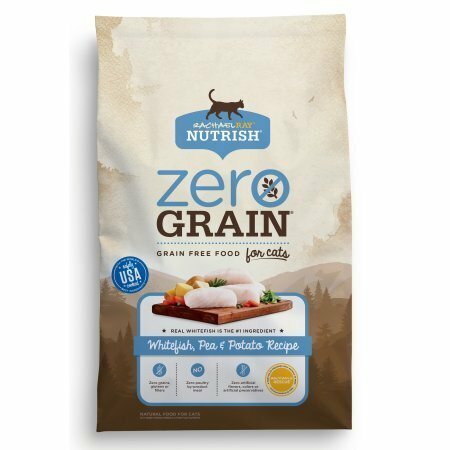 If a can or a pouch or the dry food isn’t quite enough by itself, this is a perfect solution, as you can just add to the food you are already using plus know that it fits all the requirements of being made without grains, potato, corn, wheat, soy, by-product meal, artificial colors or preservatives. As it turns out, we already do this for our cat but in a far more labor intensive way. The food he is currently eating is not quite enough however we do not want to open another can, so we make chicken meatballs from ground chicken and freeze the meatballs. This means rolling the meatballs and freezing on a oven tray lined with baking paper overnight. Once frozen we can then put them together in a smaller bag and they separate from each other easily. He has one in the morning and one at night added to his food. The topper is a far more convenient solution particularly if your cat has dietary needs , has allergies or in tolerances. You might wonder why we don’t give him some dry food and the reason is because he has diabetes so carbohydrates need to be restricted. The flavors for the toppers are chicken, duck, rabbit, salmon and tuna. This product comes in either the pate style or stew style. The stew style has more gravy. I have outlined my preference for gravy style above however you (your kitty I naturally mean here) may prefer pate. There is plenty of selection regarding flavors of both types pate and stew. There are zero artificial preservatives, flavors or colors and the product is free of carrageenan (a thickener). There is no wheat, corn, soy or rice. The food is grain free and consists of meat and vegetables or fish and vegetables. A meat diet is what mostly resembles a cat’s ancestral diet. The total list of ingredients are on the product. When a cat has specific allergy it is always necessary to read the labels first or research the product as an intolerance can be different to an allergy. Just as being celiac is a serious health condition in adults, being gluten free in adults can also be a choice because of an intolerance to grain. This is where we need to do our due diligence relating to the particular issue. The variety pack has 12 cans while the other flavors are 24 cans. This cat food is made with real whole meat, meaning there there is no meat meal, like chicken meal or fish meal. 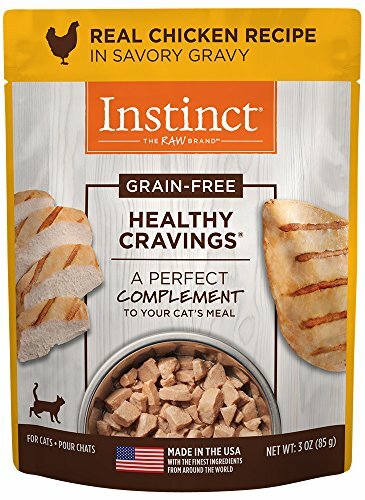 It has wet food in the product title indicating the benefit of added hydration. Vegetables are from farmland that does prohibits the use of genetically modified seeds. There are no artificial colors or flavors, no preservatives and the cans are BPA free. Made in USA. This product does contain carrageenan so if that is on your banned list this product will not be for you. Carrageenan is not necessarily a bad thing, it is up to your own research to make a decision regarding this. This is a link to Wikipedia and carrageenan. If you scroll right down to Regulatory Status you will find the most recent information , 2018, from regulatory bodies in the USA and UK. The carb value in the chicken pate was low enough to suit a diabetic cat which is always useful information for those with a diabetic cat. Like all products for pets there is quite range of responses from extremely positive to negative although the positive responses to outweigh the negative. It is difficult sometimes to assess how well our pets like a product as it can take some time for them to get used to a change if they have had the same product for a long time. The best advice it so look at he ingredients and buy based on that knowledge and then of course factor in how your cat reacts to the change in diet. That concludes the review of the best hypoallergenic wet cat food in pouches or cans. Our recommendations are below. 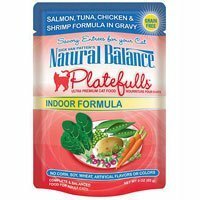 Natural Balanced Platefulls is a product that you know you can give your cat in confidence, that it is grain free, is made with high quality ingredients and has no artificial flavors colors or preservatives. 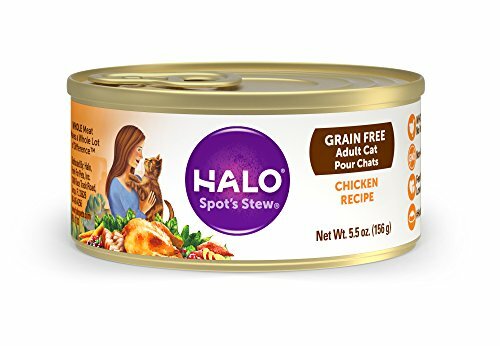 Halo is also a very popular product and with all products reviewed it may be a particular ingredient that makes your choice easier. All are quality products. Halo has a wide variety of flavors and once again no artificial colors, flavors or preservatives. A BPA can is another plus feature of this product. 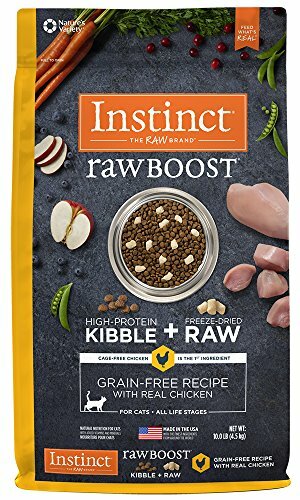 Natures Variety Instinct Wet Can Food Topper is a a grain free recipe containing all the benefits of the products listed above. The only difference is that it is a topper and is meant to be added to the food you use. As I explained in the article this is super handy if the size can or pouch you use isn't quite enough and yet another can would be too much. This gives you greater quantity control. Highly recommended. This is a top notch product. This particular choice is for sensitive skin and stomach however there is also a product to aid with urinary tract health formula and one for hairball management. Purina has a reputation to uphold for a quality product. The sensitive stomach product comes in two different flavors, Herring and Rice or Lamb and Rice. Both products have prebiotic fiber to promote digestion – Interestingly the use of not only probiotics but prebiotics for humans is also gaining traction in the health world relating to the health of the gut. All Purina Pro Plan dry cat food contains at least 40% protein. Protein should always be the first ingredient in a cat’s diet as they are obligate carnivores. 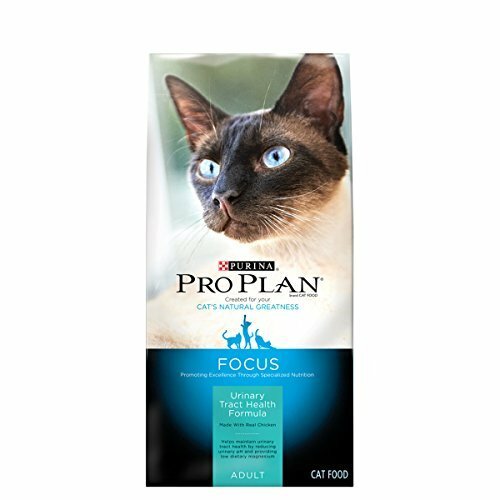 This product is really very highly recommended by people who face a variety of different health issues with their cat and have been willing to try a different product for the health of their cat. For specialized advice always visit the vet however as cat owners we can take some responsibility for doing research and finding products that may better suit your cat than we currently use. The Urinary Tract Health Formula is shown below. If you are specifically looking for grain free this is the Purina product you need. The Pro Plan products do all contain grain. This is available in a 3 lb, 5 lb and 11 lb bag. There are two flavors – Chicken and Egg and Ocean Whitefish and Egg. 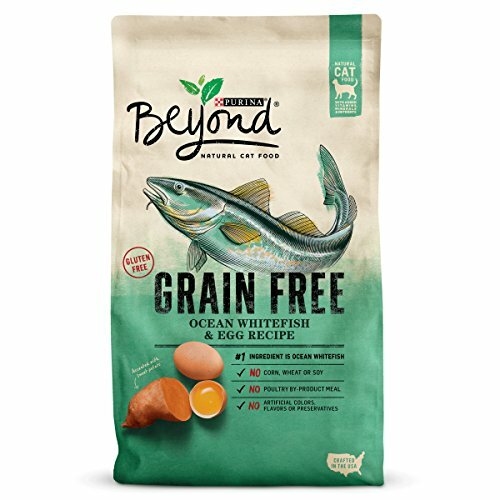 Note that Purina Beyond does also has a product that does contain grain so if it grain free you need, be sure to look for Grain Free on the front of the product. The packaging can vary so it is necessary to check the wording. Also sometimes the product may stipulate Grain Free Indoors. Indoors means fewer calories as indoor cats may not be as active therefore needing less calories. As with other brands there are different types of Nutrish cat food catering for different issues. The one focused on in this article, is the grain free product. This link is for the other Nutrish dry cat food products which may suit your needs better. We aim to help you with your research by showing what is available. More and more we are living in a hypoallergenic world, pets included. There’s no artificial colors, flavors or preservatives in this product. It is available in two flavors, Whitefish and Potato and Chicken and Potato. This is of course also suitable for cats who do not have allergies. If you have more than one cat this may be a consideration. Are you wondering what freeze dried raw means? This product does not have to be frozen or kept in the freezer although some Nature’s Variety Products are kept in the freezer so always read the packaging to make sure you have the product that is going to suit you. Freeze-dried raw is 100% raw nutrition that sits safely on your pantry shelf. All we do is remove the moisture from our all natural frozen recipes, without heating or cooking, to lock in nutrition and taste. No thawing or refrigeration needed! The chicken flavor contains processed pieces of real chicken. If this food is quite different to the normal food fed to your cat, transition to the new food over the course of several days, even up to a week, offering the old food and the new food and finally transitioning to the new food. Some cats will of course adapt quickly and will tuck right in straight away. For your fussy eater transitioning is the way to go. The chicken is cage-free and sourced in the US. The vegetables and fruits are from the U.S., Europe and the Middle East, depending on which specific ingredient, the availability and time of year. Herbs and spices are from North America, Europe and the Middle East. Vitamins and minerals are from North America, Europe, the Middle East and Asia. The product is made in the USA, some seasonal produce is sourced overseas. That concludes the review of the best hypoallergenic dry cat food. Our recommendations are below. For peace of mind we recommend using the Purina Pro Plan or the Purina Grain Free Recipe. Purina has a huge and valued reputation to uphold and have quality cat food products with a proven track record. If you are looking for 100% raw nutrition for your cat, Nature's Variety will provide a raw freeze dried product with cage free chicken. ​Rachael Ray Nutrish also fits the grain free criteria with no artificial colors, favors or preservatives. All of these products have been chosen carefully for their effectiveness and reputation. The difference for you might be the size of the packaging, the price or specific ingredients. Previous Post What Is The Purpose Of A Secure Senior Cat Porch Enclosure? Next Post Why Does My Cat Shred Paper?